As the smallest possible information unit, the bit knows various technical designs. The physical reality of electronic binary memory has a fundamental effect on the utilization possibilities of computer technology, beginning with fine mechanics, followed by electromechanics and electronics. The inpact of computers and smart tecnologie on our everyday lives are closely linked to the technical characteristics. 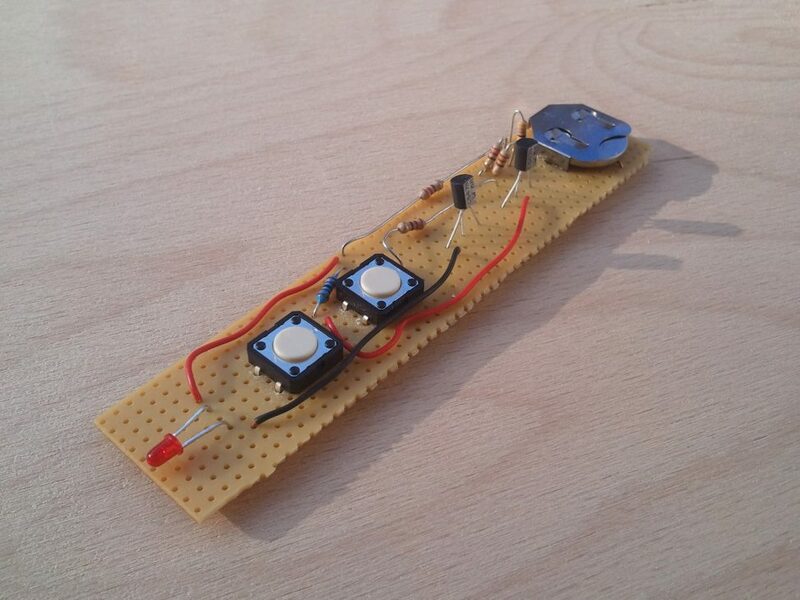 In order to test this interplay between thoughts and electronic circuits by hand, this simple “One Bit Stick” kit is desigend to demonstared the nature of a computer reduced down to its very basic element: one single bit.